The third leg of this season's Sevens Series will be played on 26th and 27th January with USA 7s currently holding the top position in the overall standings after finishing runners up in the Dubai and Cape Town legs with 38 points. 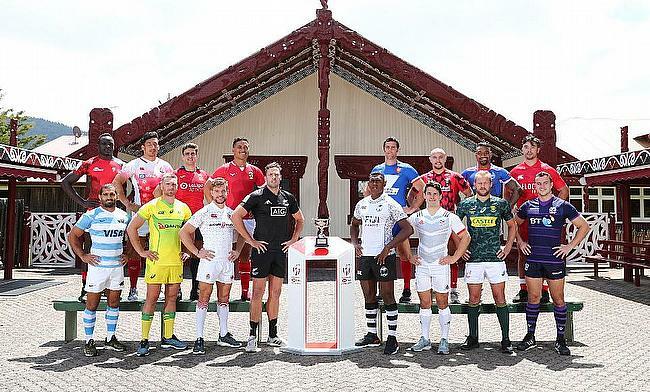 They are closely followed by the winner of Dubai 7s New Zealand with 37 points and the winner of Cape Town leg Fiji with 35 points in the next two places. The Pool A comprises of Fiji, Australia, Argentina and Wales while Pool B has England, USA, Samoa and Tonga. South Africa will be hoping to revive their campaign in Group C that has France, Scotland and Kenya while host New Zealand comprise the final group with Spain, Canada and Japan. Fiji are the defending champions of Hamilton Sevens when they went on to defeat South Africa 24-17 in the last year's edition at Waikato Stadium. Full squads for the tournament can be downloaded here.